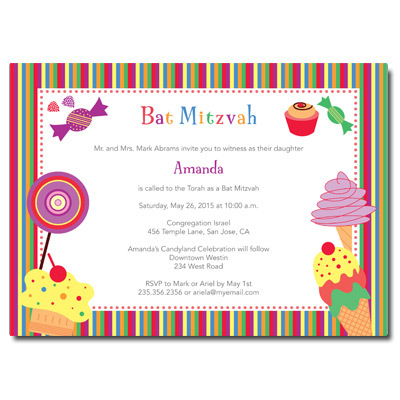 Send your guests a sweet thank you with this customized Candyland Bat Mitzvah thank you card. 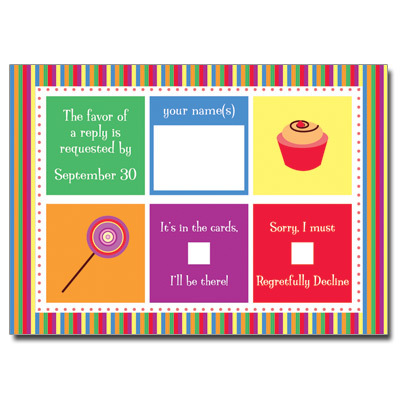 Designed in a rainbow of colors like the classic game, this personalized note card is the sweetest for your candy theme! Folded card measures 3.5x5.